I receive frequent inquiries from people, asking if my holster for the "ABC Model" will fit their "XYZ Model". There are dozens of handgun manufacturers, each manufacturer makes several models, and many offer variations in each product line. 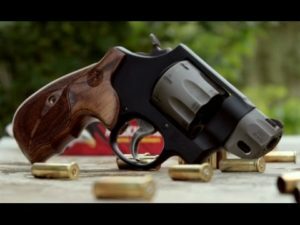 The result is that there are hundreds of distinctly unique handguns available to the consumer. As much as I might like to have one of each, it just is not possible. Even trying to keep up with each year's latest models can be very difficult. Several companies make "dummy guns", cast replicas usually so accurate that the serial number of the original can be read, and these are a good resource for holster makers. I have dozens of these, and acquire more as demand for holsters dictates. The "dummy guns" are typically available only for the more common current production handguns. As handgun models are discontinued by manufacturers, dummies become unavailable, and many holster makers drop the discontinued handguns from their product lines. I also have quite a few older model handguns available, and I use these to make holsters to meet the demands of customers who like to use their older classic sidearms. PLEASE NOTE THAT MY HOLSTERS ARE QUITE CLOSELY FITTED TO THE HANDGUNS THEY ARE INTENDED TO CARRY. THERE ARE NO "ONE SIZE FITS SEVERAL" MODELS IN MY PRODUCT LINE. IF YOU HAVE ANY QUESTIONS REGARDING PROPER FIT FOR YOUR HANDGUN, PLEASE CONTACT ME AND I WILL TRY TO HELP. REMEMBER, USING A HOLSTER INTENDED FOR ONE HANDGUN MIGHT POSSIBLY BE DANGEROUS WHEN ANOTHER HANDGUN IS INSERTED OR CARRIED! BE SURE, AND BE SAFE! M&P SHIELD .380 EZ ***NEW!! *Most revolver barrel lengths and configurations accommodated. All of our holster designs can be fitted for semi-autos and Revolvers. NOTE: there have been many "clones" made through the years, handguns copied from other makers and handguns marketed under differing trade names. Most of these are close enough to the original dimensions that a holster for one will work well with the clone, some are not. INQUIRE WITH YOUR SPECIFIC NEEDS! Things were much simpler when I started making holsters. Half-a-dozen handgun manufacturers, each making half-a-dozen different models. Now there are dozens of manufacturers, each offering dozens of different variations, and new handgun models are introduced almost daily. Most holster making is done using "dummy guns", cast replicas of the originals frequently so accurate that the serial number can be read. Dummies are usually made only for current production handguns having a significant market share. When handgun manufacturers discontinue a model the dummy makers will drop it quickly. New handgun models may be on the market for a year or more before dummies become available, and most models will never be available as dummies. 2. Make your handgun available for patterning and forming a holster. This requires some consideration of shipping costs, risks of loss or damage, insurance, safekeeping, and compliance with all federal, state, and local laws pertaining to firearms transfers. I do not generally recommend this course of action because of the expenses and inherent risks involved. Look at the detail of the fitting of the holster displayed; it is intended only for the Springfield XD model. Other handguns may fit inside this holster, but none will be properly accomodated, and there could be safety issues based upon the type and location of the "controls" (safeties, magazine releases, slide stops, triggers, etc). Each product by Lobo Gun Leather is hand-fitted to a specific handgun. Customers ordering a holster are responsible for making the proper selection. Returns will not be accepted because of an improper fit, unless that situation occurs with a handgun of the specific make and model stated in the original order. Lobo Gun Leather products are intended for use only with unaltered and unmodified handguns in the original condition, as delivered from the manufacturer! Handguns that have been modified IN ANY WAY WHATSOEVER (including but certainly not limited to trigger shoes, custom triggers, extended or oversized safeties) MAY BE UNSAFE IN ANY HOLSTER!